Love the Blue Ridge Mountains - there's something so peaceful about this view and that fresh mountain air. The Rose Walk at the Lake did not disappoint and I loved making this walk to worship each morning and to seminars and rehearsals throughout the day. Such beauty! In the evenings, we spent some quality time at the lake house - so many memories here, including having the guys grill for us last summer! SD had been waiting for this moment for an entire year - the best pulled pork sandwich (ever?) from Bogart's in Waynesville. 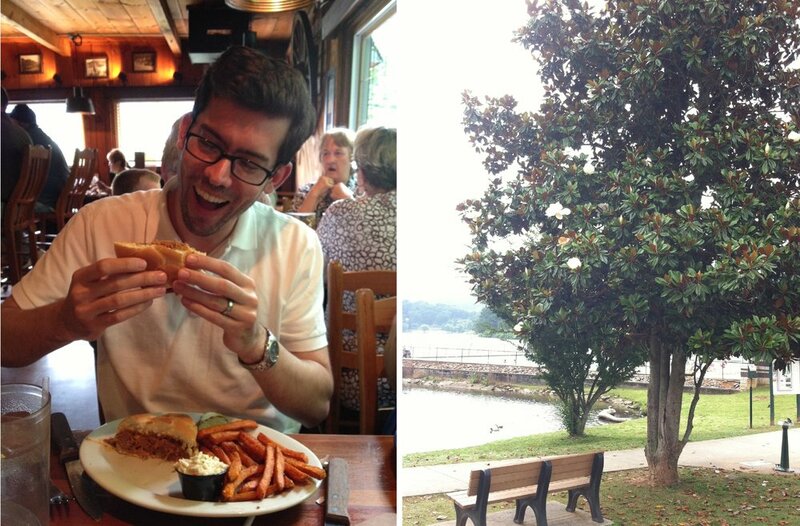 We had more than our fair share of good southern food during our week's stay! 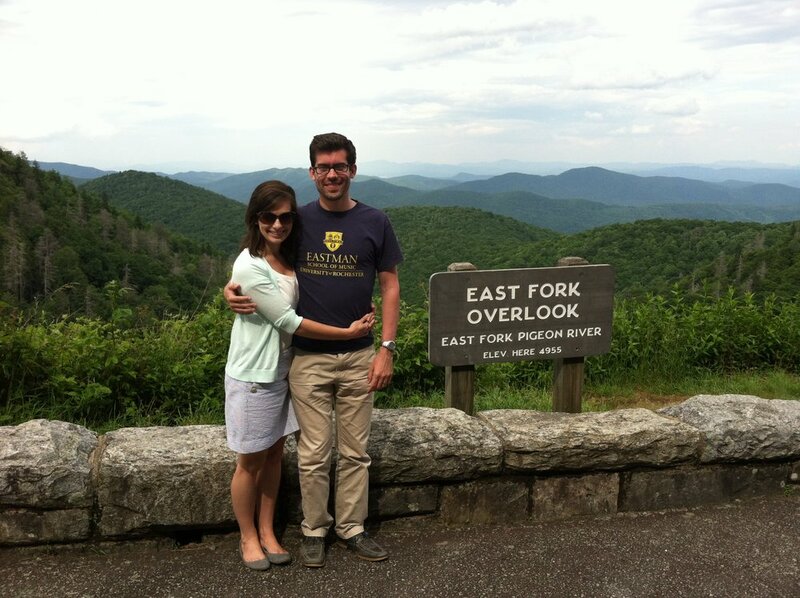 On our last day, we took a drive on the Blue Ridge Parkway - can you ever get tired of this view? 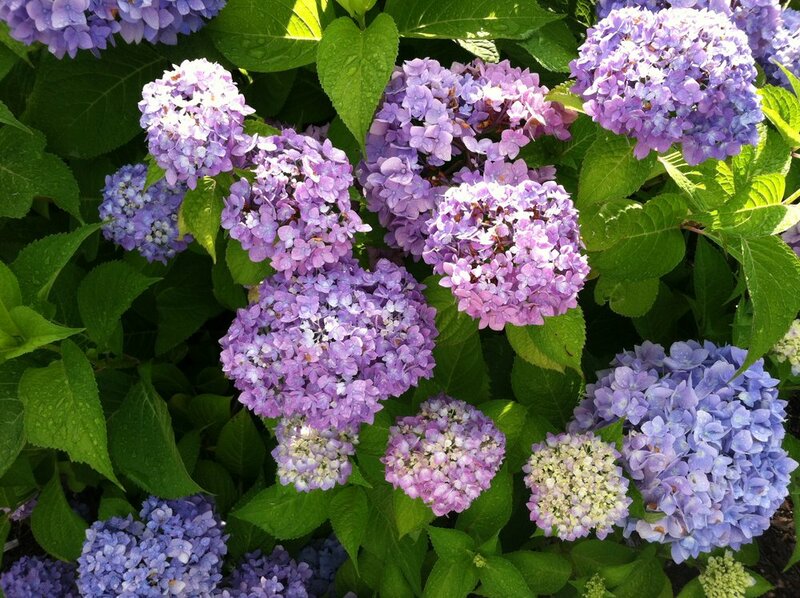 The hydrangeas were in full bloom everywhere we went and I could not get over the blues and purples - my favorite! Read about last year's trip here.